QWIQQ is a mobile social commerce based on blockchain network. 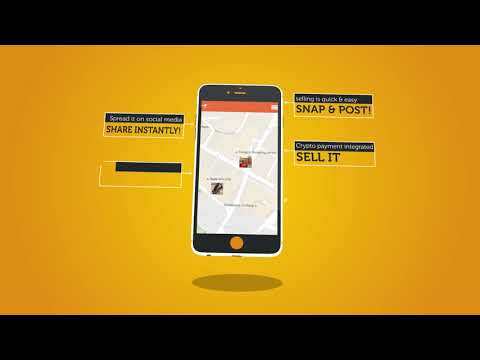 It is a platform for individual sellers and merchants to list and sell their wares. Sellers/Merchants can choose to accept over 10+ types of crypto-currencies. Social networking sites like Pinterest prove the value of image-driven communication for businesses. After all, you can write a thousand words describing your product and its benefits, but you know what they say about a picture. Qwiqq is driving social commerce with an app that lets local merchants quickly post, in real-time, their products and services using a picture, price and place. Then, they can share them on the most popular social sites. In other words, Qwiqq turns powerful social networks into powerful selling networks. Busy merchants simply don’t have time to create commerce posts, including copy and images, and then share them on Facebook, Twitter, Email and SMS. Qwiqq aims to make this process efficient so businesses can get social benefits without all the work. For consumers, Qwiqq is a fun way to share the things they love to buy. If you’re out and about, and you see a great deal on shoes or sushi, just snap a photo, add the price and your comments, and share with all your friends. The Qwiqq team is already receiving recognition for their innovative approach to deal and photo sharing. Qwiqq 1.0 was featured in the iTunes App Store: New & Noteworthy, What’s Hot, Great Free Apps section, and it was also a finalist in TeXchange’s inaugural "One to Watch" awards. Qwiqq aims to create a brand new commerce marketplace for the crypto community by building on it's existing successful mobile commerce platform.